Media Size: A4 8.50" x 11"
DaVinci Executive Journal offers perfect binding to allow the book to lie flat during use. 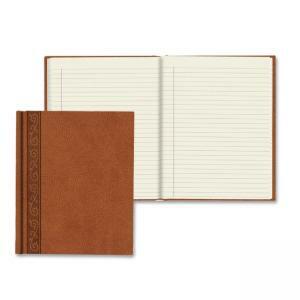 Durable, saddle-colored embossed cover protects 150 ruled cream pages with a margin. Paper is made from 30 percent post-consumer material. $15Tops Professional Business Journal - Jr.Legal 5" x 8"
$21Tops Professional Business Journal - Letter 8.50" x 11"